Well cleared the ROM. Reset the router. The ISP config details are no longer there. But guess what? No TR-069 or TR-064 menu entries. Using the telnet connection I can see that TR-064 is disabled, but can't find a command to check TR-069. Response to #28 Kitz. Regarding the Zylex vmg1312-Bx0D. I have been looking at the manual, version 5.11, edition 2 03/2016. There is no explicit means of enabling/disabling TR069 AND 064. But there is the firewall protocol / access control route. However in the NAT chapter 11 (page 157), figures 78, 80, 83 are screen shots of the screens for port forwarding, applications and port triggering. These contain a Note that "The TCP port 7547 is reserved for TR069 connection request port". The note might suggest port 7547 is treated differently to other ports and I wonder if the protocol / access control in the firewall settings is available (i.e works for) for this port. Btw A search of the 1312 pdf manual for strings related to TR069 and 64 gives no results because the only place they appear is in the screen shots, so no text to find. Don't know if you've sorted this out or not but here's a screenshot of mine with the relevant firmware showing in background. I cannot see how it's possible not to have the maintenance menu showing in the modem home screen, perhaps a fresh install of the relevant firmware may help from a different source ?. It works for the VMG1312, so I see no reason why it shouldn't on the VMG8324. I have the TR-069 option in the menu so I cant test it on my VMG824. I had the missing options issue with a VMG8324 I purchased from Eclipse in 2015. There is a way of solving it, by erasing the ROM-D, but ZyXel support at the time didn't recommend it. Been there (see previous post). Cleared the ROM. Still no good. Off to the Post Office to send back to Zyxel this morning. Just out of interest, can you login to the web GUI using the 'supervisor' account instead of admin as that should show various other options not shown to admin users. Sealed in the box now, but what would the password be? I did try supervisor with 1234 but no joy. 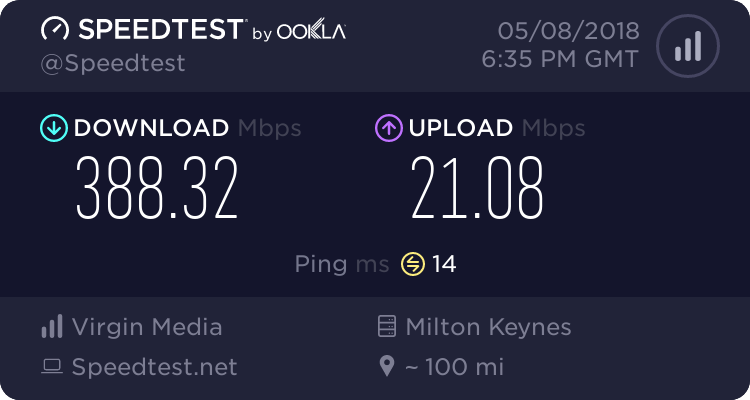 I've been pleasantly surprised at their support - very responsive, and I certainly did not expect to be able to return it when I told them it was ISP provided. I've recently picked-up one of these (from Ebay - where else ). It's working great on my line but I'm having similar issues to lloyd in that some of the menu options are missing (TR069 and VOIP to name two). Mine is an ex John Lewis broadband version - clear from the login details it had in it that remained after defaulting it. I've cleared the ROM-D and that has got rid of the JL login details but I still have missing menus. I suspect if I could login as the supervisor user I could do something about it but I can't find what the password is (not 1234, password, supervisor, zyad1234). I know the supervisor user exists because if I try to create it when in as the admin user it tells me so! I'd like to check that TR069 is off and I'd like to get to the other menus because now I know that they are there! Well fantastic service from Zyxel – router sent Monday 2nd class, new one in my hands Friday lunchtime. The new one is running 1.00(AAKL.5). The TR-069 and TR-064 menu items are present. In addition there is a whole menu for VoIP and a quick start wizard, neither of which I remember being present before. Upgrade to 1.00(AAKL.15), they are still there. Restore from my old config file – they have gone, as have VOIP and Quick Start! Factory reset, and this time they reappear. (Note that before the router was swapped out even a factory reset did not result in them reappearing.) Not a huge amount of work to re-enter the config. Once again, really good service from Zyxel. Yes, that is very good customer relations/service. Anyone have the supervisor password? I have a few KCOM zyxels now that are missing the remote management option, pain in the arse! I just did this on a 2nd Zyxel, and it didn't work 1st time like my main unit. 3) open telnet and run the command "save_default clean"